August Mors was born on 20 July 1921 at Sigmaringen in Württemberg-Hohenzollern. Upon completion of his flying training he was transferred to JG 5 “Eismeer” fighting over the Arctic Northern Front in mid-1942. Gefreiter Mors was assigned to 6./JG 5. He gained his first victory on 27 September. On 9 January 1943, he participated in an action where 6./JG 5 were successful in downing eight Russian aircraft. Mors was successful in downing a LaGG-3. On 12 June 1943, Mors was shot down and had to bale out of his Bf 109 G-2 “Yellow 7” (WNr 13764) over enemy territory. He successfully evaded and returned to his unit on 18 June. By the end of 1943 he had 15 victories to his credit. He recorded his 20th victory on 14 February 1944. On 20 March, he claimed eight enemy aircraft including seven Il-2 Sturmoviks for victories 30 through 37.  Mors was awarded the Deutches Kreuz in Gold on 14 April 1944. Mors was transferred to the Invasion Front with I./JG 5 in June 1944. He quickly gained a further 11 victories, including one four-engined bomber, to add to the 48 he had already gained over Russia. On 5 August 1944, Mors took command of 1./JG 5. The following day he led a Schwarm including Leutnant Alfred Lehner (37 victories, DK, killed in action 4 April 1945) against an incoming Allied four-engined bomber raid. In shooting down one of the bombers (reported as B-17, but it was very probably Lancaster of 57 Sqn RAF) he was severely wounded and baled out of his stricken Bf 109 G-6 (WNr 165828) “White 4”. Hospitalised at Clichy, he succumbed to his wounds on 8 August 1944. August Mors was posthumously awarded the Ritterkreuz on 24 October 1944. 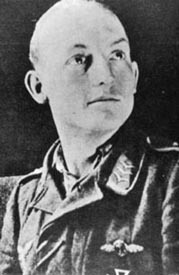 August Mors shot down 60 enemy aircraft. He scored 48 victories over the Northern Front and 12 victories on the Western Front, including one four-engined bomber.